Coldwater Machine Co. received the PAC Worldwide Supplier of the Year award for build and delivery of automated machines it provided at the company’s facilities. 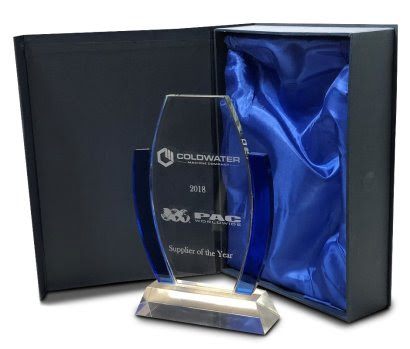 This first-time award was inspired by the work that Coldwater provided to PAC Worldwide, a provider of packaging solutions development, manufacturing and automation. “As we made project changes, Coldwater immediately conveyed any issues, developing solutions along the way to make this an extremely smooth project that came off without a hitch,” said Scotland Thygerson, PAC Worldwide project engineer.